Welcome to Alabama American Legion Baseball's website! With an alumni base that includes more than half of current Major League Baseball players, American Legion Baseball is one of the most prominent and tradition-rich amateur athletic leagues in existence. The program is always growing and participation is easy so there’s ample opportunity for new players to join, for coaches who want to start a team, for umpires, and for individuals or groups interested in volunteering. American Legion Baseball has a long history in Alabama. The league strives to provide a good mix of flexible schedules and good competition. The season typically begins after the academic school year ends which is near the Memorial Day holiday weekend. The state tournament is normally held in mid-July. The possibility of advancing to the American Legion World Series tournament is available to teams that can advance through the tournament levels. The season offers both full and part time play. The program has league focused teams, tournament teams and hybrid organizations. Regular season and tournament games are held within the State of Alabama. 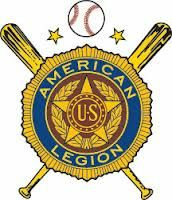 The American Legion is run as a not for profit league with the goal of improving our young people within a positive, competitive environment while preparing our players for high school and collegiate level play. The Baseball program offers opportunities in three age divisions: Junior Varsity, Varsity and 19U for state championships. The 19U division state champion can advance to Regional tournament and possibly the American Legion World Series. The Junior Varsity division is designed for the rising 10th grade and younger player. The Varsity division is open for all players with at least one remaining season of High School athletic eligibility. The 19U (Senior Division) division is designed for recent high school graduates and younger players with a possibility that some prior year graduated players may be eligible. The American Legion will observe a January 1st cut-off date. Thirteen (13) year olds are the youngest players in American Legion Baseball with a date of birth in 2006.